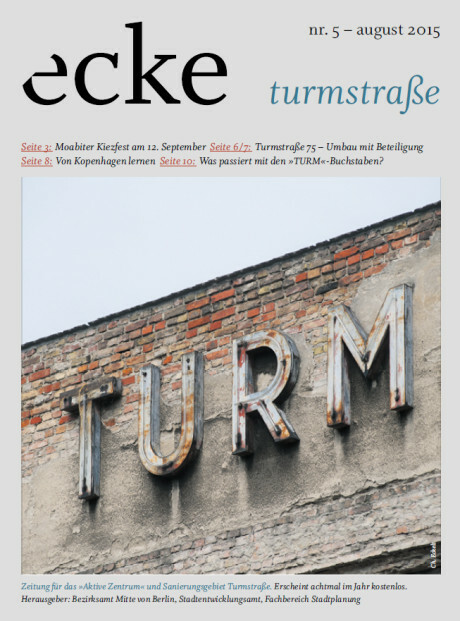 The Baupiloten BDA are featured in the new issues of the local newspapers Ecke-Turmstraße, Ecke-Müllerstraße, and Ecke-Köpenicker. The article Partizipation in der Stadtentwicklung – aber wie? (Pages 6-7, in German) documents the role of the Baupiloten in the pilot project Turmstraße 75 in Berlin-Moabit.